Good things happen with time, and time is a precious asset: for you and for us. Over the past months, Nxter has been working on a rebrand and the fruits of our labor should be on display (finally) from the beginning of October! Soon. Just wait a little longer for us to firm everything up. Patience is a gift that many people have not acquired throughout their lives. When moon, when lambo, you might ask? Imagine if one never was exposed to anything but tasteless fastfood, and never realized that good cooking takes time. Or never knew that spearheading and building an entirely new business model and a secure infrastructural blockchain ecosystem with the efficiency to power the future of decentralized applications on a global scale can't be done overnight. Waiting for expected results can indeed be stressful, not least if you got the FOMO. Being patient in this fast moving blockchain world can be tough, and we understand that at Nxter, so we do what we can to update you about the ongoing progress every week, enlighten you underway. While the Newsly may be smaller than usual this week, that does not mean that it's any less important. Last week Jelurida was sending representatives to the western and eastern edges of Europe, the Ardor Bootcamp course of Udemy is still free and definitely worth signing up for, Ardor.World celebrated one year of being online, the community sees growth in Brazil, updates from various Ardor businesses, a video demo of the Blockchain Gateway Chrome extension from its creator, a reminder that version control systems other than GitHub are used professionally, and much more! We thank you for being patient with us as we tirelessly take you through another week that was. > Ardor is Dead! You Know...? 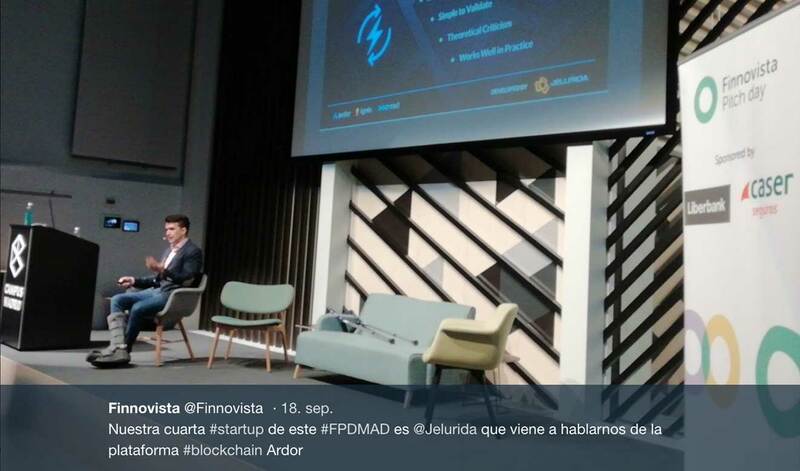 This week Jelurida attended meetups in Istanbul and Madrid, showing what they got. 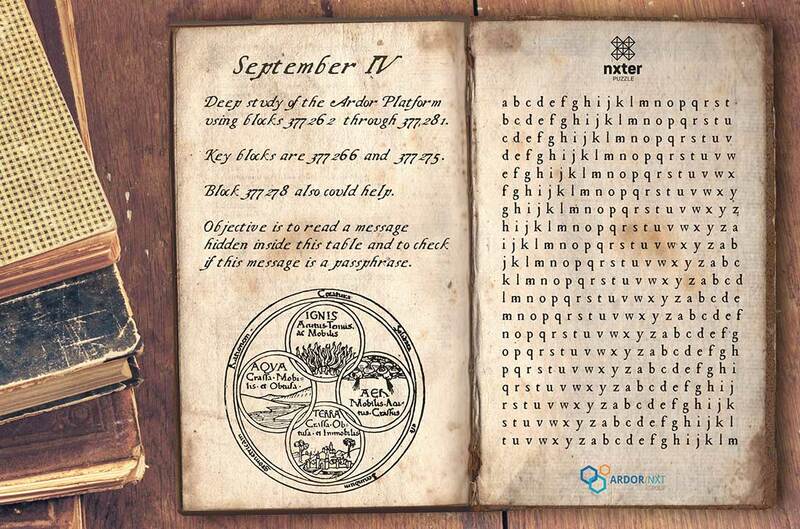 Also, Documentation of the work they are doing on Ardor was shown in a teaser to the community. I spoke in this panel about how we work with companies that are launching products and services with the Ardor Technology, the key factors for a blockchain startup to be successful and all that. I had the provilege to share this panel with the CEO of Norbloc and the head of International Markets of Binance. Really great company at the stage. I am looking forward tomorrow to speak about blockchain as a service. For celebrating that the Finnovista event was very good for us, here you have a teaser from the documentation we are working on. Dev documentation is now progressing rapidly. The renovated Ardor wiki with full feature and API documentation should be available during October 2018. Ardor.world is an excellent website created by Sergei Chumak, a well-known member of the community, that contains a lot of tools and handy resources and services for the Ardor/Ignis/Nxt. This week this website celebrated one year of being online! 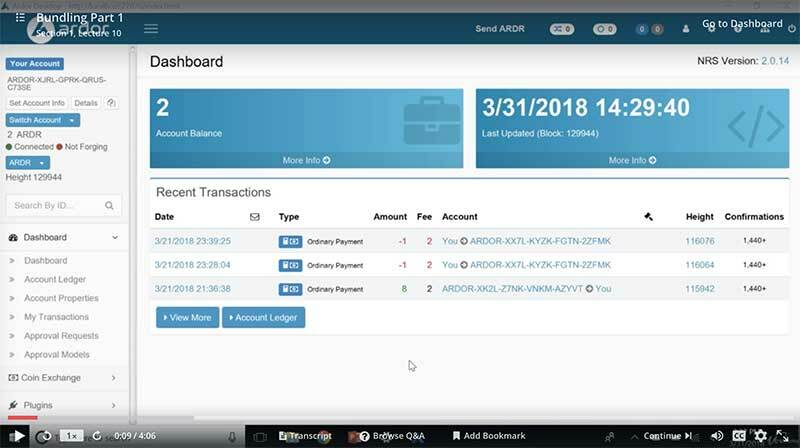 Ardor.world contains a lot of tools and handy resources and services for the Ardor/Ignis/Nxt users; not limited to: blockchain analytics, NXT, ARDR, IGNIS testnet coin faucets, "rich list," manually crafted asset reporting, etc. Sergei Chumak is very active in the community, where he plays a remarkable role as one of the admins in the Russian community, and it's not the first time that he creates useful tools for the community. This was also the case, for example, with his Ardor/Nxt/Ignis price bot for Telegram (@ardor_world_bot), which can be used to check rates (NXT, ARDR, ADL), check the balance of your Nxt-account, or subscribe to notifications of coins and messages sent to your Nxt / Ardor account. The Telegram bot is currently active at the Nxt / Ardor / Ignis trading group on Telegram and some others. Truly a labor of love, this project is an important fabric in the rich tapestry that is the ever-growing Ardor environment. 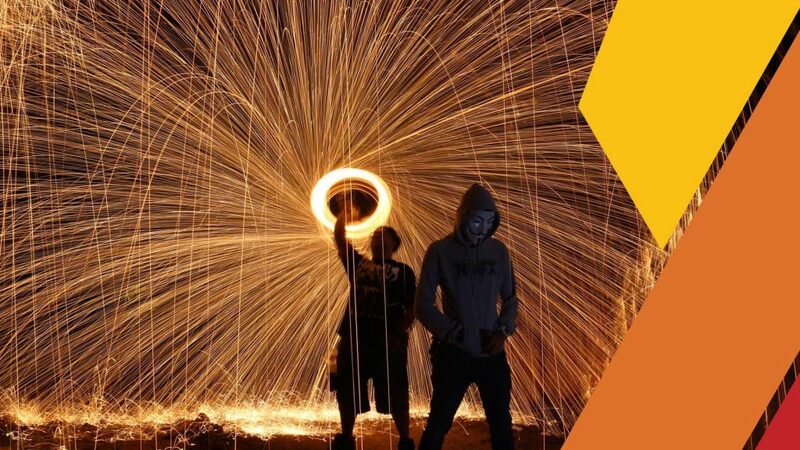 This very well-reviewed course is an excellent way to learn and become proficient with much of the advanced functionality that differentiates Ardor from thousands of other altcoin projects. The Ardor course on Udemy is now free to register! As mentioned in a previous newsletter, the Ardor Bootcamp on Udemy, created by Eric Funk, a detailed course with video-tutorials that allow new users to learn all the basics of the Ardor blockchain platform, is now free for a limited period of time. This online course is great for those who desire to have a structured format surrounding you as you learn and become more familiar with the multitude of functionality within the Ardor platform. We are talking about further ways to keep this available to the public through Udemy and thank Eric for his professional and pleasant introduction to Ardor! Blockchain Summit in Moscow - POSTPONED! Ardor is going to be at the gathering of business leaders in Madrid next month for the South Summit! No further news as to why the IBS Moscow event on September 25th was postponed last week. We will update on this event if it is rescheduled. Community voting helps to get IGNIS / NXT / ARDR on new crypto exchanges. Vote for Ardor to be listed. You need a Telegram account and a Kucoin account. The voting bot will go live September 27, 18:00 (UTC+8), and voting will remain open until September 30, 18:00 (UTC+8). All rules are pinned in the Kucoin Telegram group. The more KCS your account holds, the more your vote will count (max 1000). Here you can request for your favorite coin to be listed. Deadline: September. The Dominium community is nearly 40,000 strong now! Per popular suggestion, Dominium announced last week that they are offering a weekly lottery to ITO participants, minimum purchase of 2,000 DOM tokens through their website, and also, they increased commissions on their referral program. Also more Medium articles from the last week. Why Should You Buy DOM Anyway? "Through the creation of a new child chain, Dominium will utilize Ardor to establish a fully transparent blockchain based real estate platform. Dominium chose Ardor over Ethereum after extensive research and evaluation of both platforms. “Having closely followed several blockchain technologies from conception, including Ethereum, we strongly feel that Ardor is the platform with the best features for our business, especially the controlled trading of assets” says Joost de Kruiff, a Dominium Blockchain Advisor. The child chain is expected to be operational in over 120 countries by the end of 2018". Dominium will not only become a marketplace for property sales and rentals, but will also register property management activities, thus creating a fully transparent historical chain of information, serving tenants, buyers and investors alike. Dominium will also allow third party fund creators to set up property funds with standardised documentation, under an umbrella licence. The ITO lasts until the end of the year (December 31st). EZYcount was selected by the accelerator Fintech Fusion in Geneva for their next fintech startups program and will give support for growing EZYcount faster and better and finding financing. An article about EZYcount was published in "Global Accountant", andEZYcount announced that they opened a merchant account with PayPal and now invoices with the system can be fulfilled via PayPal. USD, CHF, EUR, BTC, ETH, LTC, ARDR, and all Ardor child chain tokens. The ICO lasts until October 15th. The Tarasca web wallet is in the private testing phase. It will show the cards owned by the collector, facilitate the purchase of random card packs and give simple access to the decentralized Ardor platform market to exchange cards with other collectors. Tarasca DAO is working on the creation of a collection of cards called “Mythical Creatures of the World”. The collection will begin with the publication of 50 cards, each one a token of the Ignis child chain containing the creature's attributes (Strength, Speed, Magic, Resistance) as well as the painting. A lightweight contract will receive all payments, shuffle the cards, send the right number of cards to the buying account, and distribute a part of the payment to the collectors who have a complete collection of cards. Cards can be sent and traded over the blockchain. Here is our previous coverage. Read more here. Follow Tarasca DAO on Medium. Regarding the upcoming "token swap" there is concern over what happens for holders who have below the 50k threshold. The following conversation provides some insight into what happens, but the answer is hardly solved. if I understood it correctly, you're planning to swap Janus tokens for some new "exchange tokens", right? But you say that "number of Janus minimum is 50k", so what happens with those investors, that don't have 50k? What are we supposed to do with our $JNS? They will still exist and be tradeable while the ones turned in for this service will be burned. It is possible we may open other ways after the first waves are sent for those with less than 50k, but the rewards would be lessened too. OK, so Janus tokens will co-exist with these new tokens that you will issue for your new project? And ppl with less than 50k $JNS will eventually get the opportunity to swap? Yes we will have to devise a percentage after the owners of over 50k are settled, but the people with under that may still use exchange and do as they please like current. As, I'm sure, most investors would. "Our vision is to create a software and services company which utilizes a common technology platform to rapidly implement distinctly branded projects targeting a number of carefully selected markets". JNS started out on Nxt, then moved to the Ignis child chain on January 1st, 2018. Plans have changed for the token along the way, first JNS got turned into a JNSHash membership token giving access to profits from the Janus team's mining farm, still, no dividend has been paid yet, and now a JNS token swap is upcoming. An "exchange token" will replace JNS, the team has announced, and all JNS used to participate will be destroyed. The exchange tokens will be created on the exchange based on volume from trading and will be used for several things, including pairings and fees, but JNS swappers will earn bigger % exchange tokens while trading, and also get the long-promised mining income. On February 3rd at Ardor block height 48484, JNS holders got Kreds tokens airdropped, 1:2, with a claim window of 90 days. It takes 100K Kreds to run a masternode. Kreds is currently listed on crypto-bridge.org, southxchange.com, upcoin.com, bitexlive.com, and crex24.com. Janustoken (JNS) is listed on the Ardor Asset Exchange, asset ID 4348103880042995903. Last week we learned that DTMA (Distributed Technology Moldova Association) started discussions with Jelurida relating to obtaining a DTMI Ardor child-chain, but first the people behind DTMA want to get community feedback to see if the Nxt / Ardor community sees the project as being beneficial to the entire community at all. "Our proposal via Escrow would be to set up a Temporary Asset for Crowdfunding managed by a 3rd party as custodian and if the 500,000 Euro Target is achieved then it makes it viable to proceed to next phases with Jelurida, if the target is not achieved then we scrap the process and those that participated get refunded". DTMI was announced on Bitcointalk in November 2017. Co-founder Lee Gibson Grant came to Nxt (again) in early September 2018, and pitched the project. The idea was/is to use Nxt, among other blockchain technologies, as Lee has been using Nxt since 2014. The core focus behind DTMA is to foster and incubate a self-contained ecosystem for R&D in the Republic of Moldova and to enable core process and "education around decentralized technology and focusing on innovation for the Republic of Moldova." Also, learn more about the new exchange in Moldova launched by Drachmae. In case you are unaware, you can use the Generate Token feature in your Nxt or Ardor wallet to sign small files with your account, a way to let others verify that the source of a piece of data is from you. Here is a very useful example of how to be asking your dev questions at Stack.Exchange using the Ardor tag. I want to sign a file (a picture of 1.4 Mb) with my Ardor Account, in order to have a timestamped proof of ownership. I tried the generateFileToken API, but it seems to work just with smaller files (no more than 40 kb). How could I do it? You need to increase the max file upload size of your node using the nxt.maxUploadFileSize property in nxt.properties. When you Validate a Token it will then tell you if the token is valid, what account the token was generated from and the date/time of generation. - learn more. Ardor is dead! You know..? Some review sites recently gave Ardor and Nxt a low rating because they use the activity in github as an indicator of the health of projects. We remind you that Jelurida uses Bitbucket and keeps their code private to protect it from copycats until the upgrades are released on mainnet. A practice often discussed in the community, BTW. But therefore only some activity is visible. xCubicle demonstrates Chrome extension: Blockchain Gateway. This extension resolves a hidden "text message" in a short URL which can bypass censorship. All data is stored in the Ignis Data Cloud, another feature built into the Ardor blockchain platform. this should be also compatible with Brave when they release their own forked browser. Our rating: AWESOME! Register some aliases for free on the Ignis chain, Ardor testnet, and go play around with this extension. You can ask for IGNIS testnet coins in ardornxt.Slack or get them from the Ardor.World testcoin faucet.